Relax and mellow in the tranquil calm of a coastal twilight with this Twilight Dusk Illuma-lid, part of the Coastal Living collection from Yankee Candle. 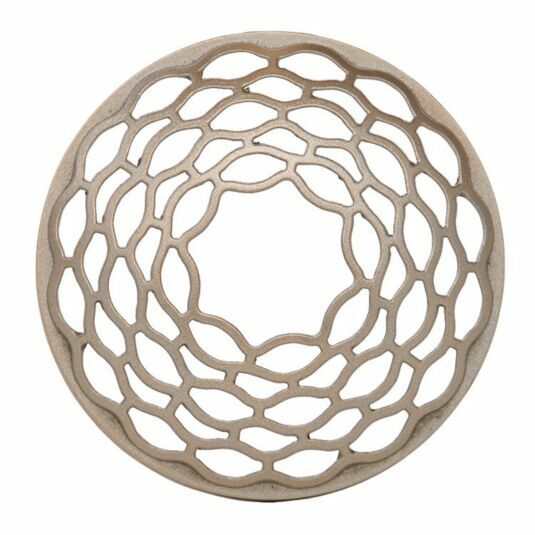 Made from gold tone metal, the candle accessory features an undulating metal lattice reminiscent of calm ocean waters. This beautiful item is the perfect way to enjoy relaxing fragrances anywhere in the home, particularly when relaxing after a meal or when friends are visiting. The Illuma-lid is specially designed to fit a large or medium Jar Candle. The metal lattice reveals the colour of your chosen candle and emphasises its colour. As the candle melts it will gently release its beautiful fragrance, bringing life and warmth to any room. This candle accessory is the perfect companion for any medium or large jar, sitting atop the rim of the candle providing both decoration and draft prevention means whilst creating a real focal point with which to surround your candle. This beautiful decorative piece would make the perfect gift to give a loved one, friend or candle lover to celebrate the joys of nature and the beauty of natural scents.